Have you ever wondered how different our lives would have been sans chocolates? Well, nothing much would have changed except that parents would have found it really difficult to entice their bratty children into doing homework, lonely hostellers would have had to find other more ‘harmful’ things to boost their endorphin levels that in turn is required to improve their concentration levels and helps combat stress, it would have been really difficult for indolent souls to chicken out with not going through the ordeal of buying gifts.. that is pretty much it! Or maybe not! Chocolates, hold a very special place in our hearts and symbolize luxury, comfort, gratification and unconditional love. They are one of the very few eatable items that have appealed to almost all generations and age groups, and continue to do so even today. It is because of this, a large number of companies have ventured into this market, many of them have succeeded to garner a sufficient market share for themselves. Cadbury entered the Indian markets in 1948, and has managed to remain the unbeaten market leader, ever since. Today, Cadbury’s flagship product – Dairy Milk holds a 30% share in the chocolate market and contributes to 30% of Cadbury’s total annual turnover. Their success can be owed to their constant adaptation to the changing market conditions and most importantly, infusion of meaningful innovations in their promotion techniques and advertisements. Today, it is because of these impeccable communication strategies adopted by them, Cadbury is synonymous to chocolates in India. The most important reason for more than victorious “Shubharambh” of their most successful campaign till now is the astute insight behind each and every thought incorporated into the advertisements. They not just merely inform masses about their product, but instead, weave them into stories that have the uncanny ability to touch lives. The stories, in every possible way connect to our lives and unfold in a manner that marvelously enraptures audiences. India is a country of rich cultural traditions; celebration of festivals is an integral part of our lives. Owing to India’s ‘Unity in Diversity’, the hoi polloi have umpteen reasons to celebrate. The manner and customs differ starkly across regions, however, the one thing common to almost all of them is the tradition of having something sweet before an auspicious occasion and the age-old belief that doing that leads to favourable outcomes. Therefore, through this campaign, Cadbury positioned its signature product Cadbury Diary Milk, as something that is not just made for children, but occasionally, elders who otherwise refrain from indulging, can also once in a while, let themselves free of all inhibitions and binge on something that used to be their favourite in their babyhood days. 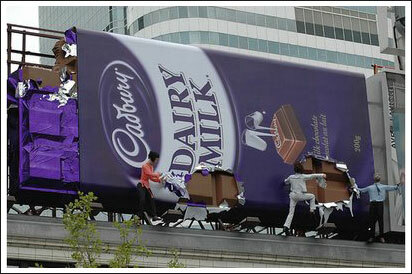 Before the launch of this campaign, Cadbury Diary Milk was already a very established brand. Its predecessors like the ‘Kuch Meetha Ho Jaaye’ and the ‘Pappu Pass Ho Gaya’ campaigns were equally successful in their respective eras. However, the maximum demand (sporadic in nature) was still from the under 16 years loyals, for whom it was more or less a luxury. But, with ‘Shubharambh’ Oglivy and Mather forayed successfully into remote markets that otherwise would never have been their customers and effectively busted the common myth that chocolates are meant for kids. 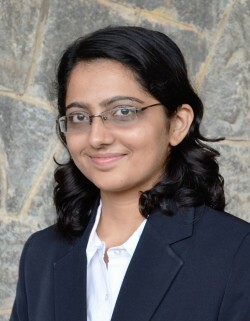 However, in most of their advertisements falling under the ‘Shubharambh’ umbrella largely targeted/targets youth, including the one’s who are highly westernized along with the one’s trying to emulate the west, but nevertheless, have not forgotten their roots and therefore, respect Indian values and traditions. One of the very unique features that these advertisements possess, is the fact that there is a fair amount of Indian-ness associated with the themes, the characters, the background and the music too. Also, most of them are vibrant and colourful – something that typical Indian audiences are really fond of. Be it an aged, bashful aunty stepping out of the house wearing Jeans, for the very first time or a modern-day family readily accepting a their daughter’s suitor who she is trying to elope with, there is a tinge of youthfulness, contemporariness and mischievousness associated, that is highly appealing to one and all. During their heydays, it was the second most watched commercial on You tube (0.65 million views), had 0.7 million reach on marriage portals, a 1.4 million reach on job portals. This campaign was the epitome of flawless use of promotional tactics that utilized all possible traditional as well as some non-conventional mediums like radio, print, brand associations, digital and outdoor marketing et al. With more and more people in India nimbly hopping from the category of ‘deprivers’ to ‘aspirers’ and with such impeccable ad campaigns by Oglivy and Mather, all one can say is Cadbury is surely giving the local sweet sellers a run for their money! After all, all is well that begins well!